­Roll up banners are one of our best selling products. They are versatile and make the perfect back drop to any stall at a convention and can serve as an entrance or information point at many an exhibition. Not sure what your next marketing tool should be? Consider one of Kaizen’s roll up banners. Roll up banners are a popular way of advertising your business. Typically seen at conventions and open days, these graphics are usually big, bright and eye catching – so they’re pretty effective at drawing in customers. Still need convincing why should you invest in one? When it comes to marketing, bigger is better. Which is why at Kaizen, our roll up banners are 85cm x 200cm. 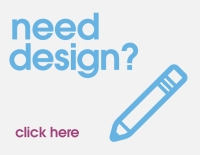 At this size, you can be sure that your design (and ultimately your company) will be seen. Despite their size, our roll up banners are easily transportable. This is thanks to a folding stand and a graphics padded carry case which keeps your design safe in transit. Not only are they incredibly easy to transport, but they are also very lightweight, weighing in at only 3kg. So you can rest assured that your graphics won’t get bashed and bruised in the van. Kaizen’s roll up banners aren’t just easy to move from place to place. They are also unbelievably easy to assemble too. We like to be sure that our products are up to standard, so we put them to the test and found that our roller banners can be set up in as little as 30 seconds! Roll up banners aren’t hard to disassemble at the end of the day either, so there’s no stress when it comes to tidying up. Kaizen’s roll up banners are reusable. Many businesses use a roll up banner graphic time and time again, especially when at conventions or open days. This allows for brand recognition, but it also saves you money in the long term, as you don’t have to shell out every time you attend an event. Simply roll up the banner at the end of the day and store it safely in the accompanying carry case. That’s some savvy saving right there. At Kaizen, you can get your own custom design printed on one of our banners, the stand and the carry case for as little as £90. We also offer replacement graphics starting at £60. No need to fork out for the stand again if all you’re needing is the banner! But don’t be fooled by the price, just cause our roll up banners are great value for money doesn’t mean we skimp on quality. You can be sure that our banners are printed on top of the range materials, from the 300-micron latex vinyl to the aluminium stand. We only have the best for our customers. So what are you waiting for? Get your very own roll up banner today. With Kaizen, you can be sure of high quality designs on the finest materials.